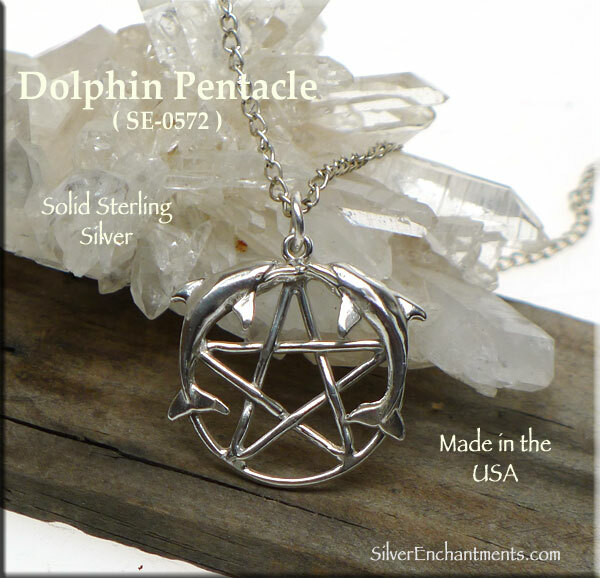 Overall Size: 24mm x 24mm = ~1" x 1"
> You can Customize this item into a Dolphin Pentacle Necklace -- Choose from : Pendant Only, Pendant on a Plain Black 24-inch Waxed Cotton Cord, Pendant on a Black Finished 17.5-inch Necklace Cord with Extension Chain, or Pendant on a Silver Plated 18-inch Necklace Chain. If you need a Sterling Silver Necklace, please see our Chains section. 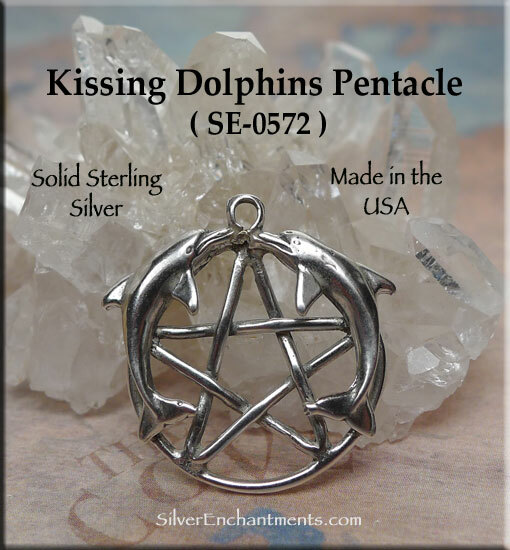 > This pendant can also be converted into a Custom made Sterling Silver Dangling Dolphin Pentacle Earring. If you need a pair of them, order 2. 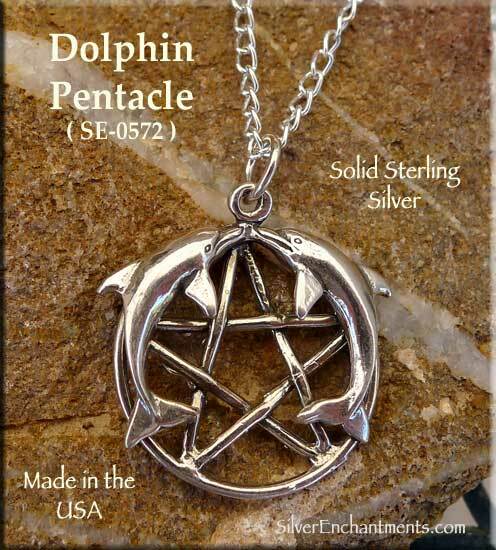 > This item can also be made into a Dolphin Pentacle Belly Ring | Navel Ring. 316L Stainless Steel - Banana Length : 3/8", 14-gauge. Gemmed ball : 8mm (color will vary) | Top Screw-on-off Ball : 5mm. Custom made Pierced Body Jewelry. 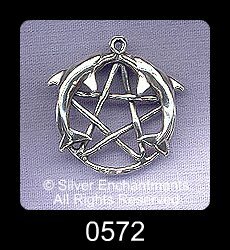 > Because we are the manufacturer, if you need more Dolphin Pentacle Pendants than we currently have available, please feel free to contact us to arrange for a custom-casting session.